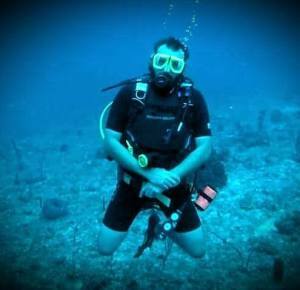 Busy Bee Charters offers scuba diving! 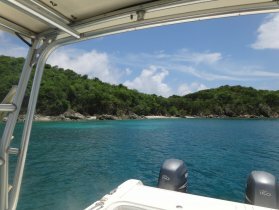 The Busy Bee is the only PADI affiliated dive boat on the Coral Bay side of St John. 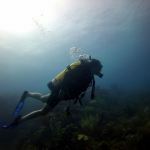 Our dive offerings are primarily private, which means we cater specifically to you and your diving experience – not to a schedule or the other 11 divers. A matter of fact, even when we combine, we limit our boat to four divers maximum. 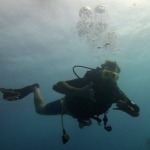 Got a mixed crew of divers and non-divers? 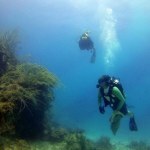 Combine a standard full or half day snorkel/exploration trip with a dive charter by adding tanks! 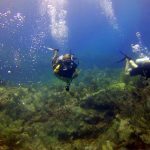 If you are not a certified diver, you can take a Discover Scuba Diving (DSD) course – with 30 minutes of instruction you can be down to 40 feet below the surface under the watchful eye of our instructor. You can even add a DSD to a private charter! …or go ahead get certified! Private BVI (i.e. Wreck of the Rhone): $795 + $/tank and customs. *Maximum of 4 divers on the boat. 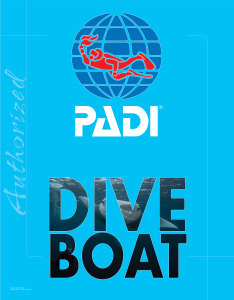 *Minimum of 2 divers for non-private trips. *BVI Price does not include customs/national park fees.